OutrageUs.org invites you to view their new mini-documentary, Love Struck: Dating Abuse Up Close. Love Stuck features the powerful narratives of three courageous survivors of dating abuse as they discuss their experiences, warning signs and the impact of dating abuse and stalking on their lives. A friend of one of the survivors and a detective who worked with another survivor in her efforts to achieve safety are also interviewed in this 17 minutes video. Love Struck can be streamed free-of-charge on this website. Please contact us if you are interested in obtaining a DVD or MP4 version of the video. Love Struck: Dating Abuse Up Close was supported by Toyota Motor Manufacturing, Kentucky, Inc. This powerful short film (3:25 min.) summarizes the intense, insidious and threatening nature of intimate partner stalking by showing keys words on the screen while real stalking survivors give voice to their experiences in the background. OutrageUs.org produced this training and awareness video in collaboration with the Louie B. Nunn Center for Oral History (http://libraries.uky.edu/nunncenter). More videos on domestic violence, dating abuse, stalking and survivors can be found at http://www.outrageus.org. Three survivors of stalking and the surviving sister of stalking victim Peggy Klinke describe the tactics used by stalkers to instill fear in their victims. OutrageUs.org produced this 5-minute training and awareness video in collaboration with the Louie B. Nunn Center for Oral History (http://libraries.uky.edu/nunncenter). The Stalking Project: Why this project? This short film (8 min.) highlights the dangerousness of stalking and questions why stalking statutes are often not adequately enforced by the criminal justice system. It features a judge, a police officer and a stalking survivor, who emphasize that an ineffective response to stalking endangers victims and empowers stalkers. The video includes actual footage from court hearings. OutrageUs.org produced this training and awareness video in collaboration with the Louie B. Nunn Center for Oral History (http://libraries.uky.edu/nunncenter). More videos on domestic violence, dating abuse, stalking and survivors can be found at http://www.outrageus.org. Three police officers and a victim advocate give a brief overview of how to build a stalking case in this short film. They discuss ideas for documenting stalking, collecting evidence and identifying witnesses. OutrageUs.org produced this 4-minute training and awareness video in collaboration with the Louie B. Nunn Center for Oral History (http://libraries.uky.edu/nunncenter). 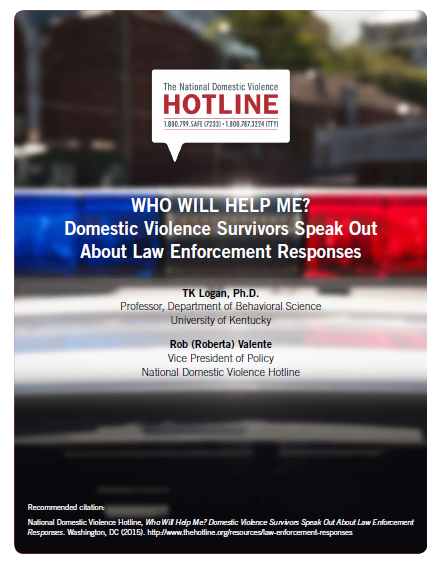 A discussion guide to accompany this training and awareness video, and more videos on domestic violence, dating abuse, stalking and survivors can be found here (Discussion Guide – Tools for Fighting Back). This short mini-documentary (2 ½ minutes) provides an overview on who stalkers are, how they operate and how they rationalize their behavior. OutrageUs.org produced this training and awareness video, featuring the voices of stalking survivors and criminal justice professionals, in collaboration with the Louie B. Nunn Center for Oral History (http://libraries.uky.edu/nunncenter). More videos on domestic violence, dating abuse, stalking and survivors can be found at http://www.outrageus.org.